Last month I finalized my sponsorships for the season. I was fortunate to start a partnership with Alto Cycling Wheels. I first saw Alto wheels ridden by Taylor Reid, who finished 3rd at Ironman Austin 70.3 last season. Their wheels also caught my eye on social media, so I decided to give them a try. Luckily for me, Bobby, from Alto was very generous and I signed my first sponsor contract. I ordered a pair of the CC56 wheel set for training. This is a carbon clincher with 56 mm rims. They have several decal color options but I ordered them with the grey decals to continue with my black-on-black stealth look. 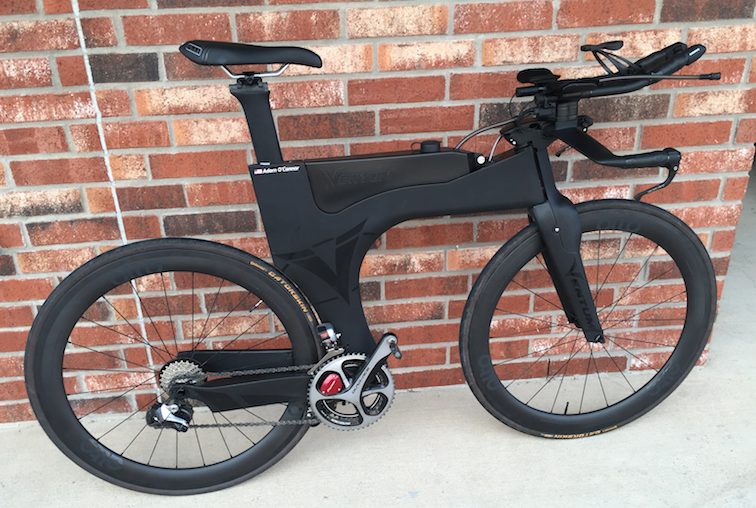 The first ride on them was a recovery ride on a Sunday afternoon after my long run. My initial impression was that they were really stiff. Even though I was riding easy, I noticed how there was virtually no flex in the wheel during the few climbs and times out of the saddle accelerating. They felt very light without sacrificing strength and durability. This is great for me, because I have a few more months in Fort Worth, where the roads are rough. My wheels usually take a beating and I sense that these Alto wheels will be up for the challenge. Overall, I was pleased with my first ride on the wheels but I was excited to get them out for a hard ride. Today, I did one of my favorite bike workouts: a quick and dirty 5×5 minutes at (40k) Olympic distance pace. Right away, as I started my first interval, I was amazed at how well the wheels moved under me. Every watt transferred to the wheels. They felt as if they didn’t want to stop rolling. I was even close to getting a couple KOMs for you Strava geeks out there. This may seem like a biased review and/or shameless sponsor plug. but I have ridden my fair share of wheels in the past. I have been on Zipp, HED, Roval by Specialized, and Shimano wheels during training and racing. I’ve always had issues with wheels flexing so much that they would hit my brake pads. Not only is this extremely annoying but it slowed me down. I used to think flexing was normal on any brand of carbon rims. These wheels are in the “no flex zone.” It’s about time that my wheels don’t hit the brake pads. According to Bobby, the science behind this is R-symmetric design. In short, these wheels really deliver. They handled very well in the wind, too. I even liked the awesome sound from the rear hub when coasting. The competition will know you’re there! 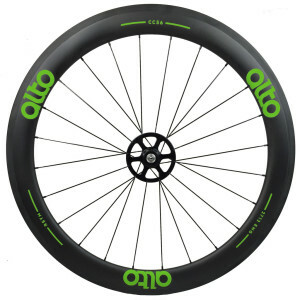 The team at Alto Cycling have innovated the best wheel on the market. Bobby Sweeting and Shawn Gravois, founders and professional cyclists since 2006, know what they are doing. I am thrilled to be using Alto during my training and racing this year and can’t wait to see what they have coming up in the pipeline. So if you want to be fast, do yourself a favor and get yourself a set of Alto wheels. You’ll thank me later. Thanks for reading!